An inadvertent slip of a key Core i9 spec suggests that Intel's next CPU could cede ground to AMD. When Intel’s next Core i9 CPU appears in a month or so, it may face some stiff competition in a battle people long thought was over: the Megahertz Wars. 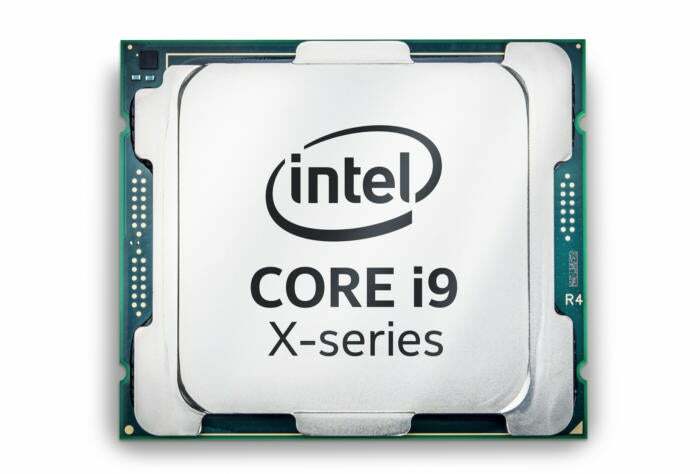 Although Intel hasn’t formally declared the clock speed of its upcoming 12-core Core i9-7920X, the company appears to have inadvertently disclosed it. 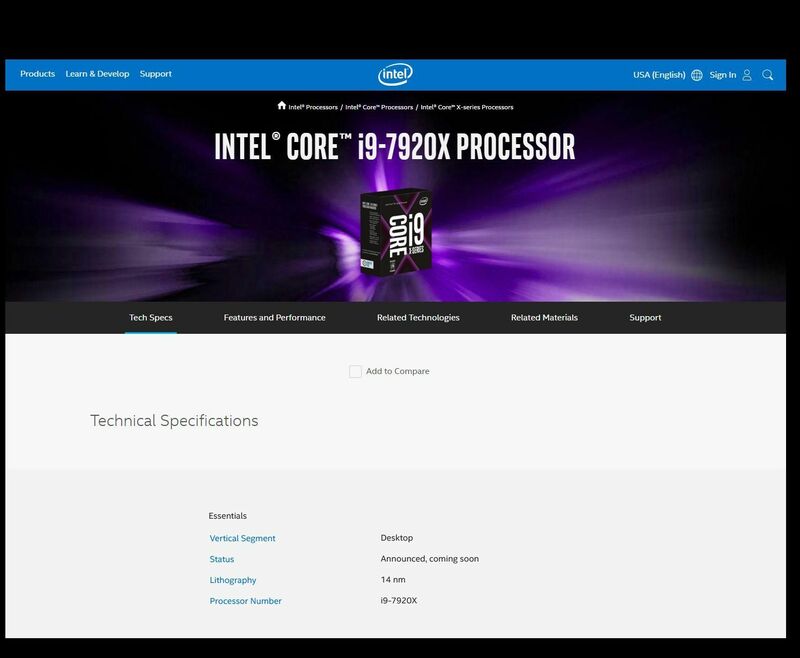 A price list posted by the company on July 14 shows the $1,200 Core i9-7920X with 16.5MB of cache, 12 cores, 24 threads, and a clock speed of 2.9GHz. Intel officials declined to comment to PCWorld on the apparent slip. Intel may have inadvertently published the clock speed of its upcoming 12-core Core i9-7920X and it doesn’t look inspiring. 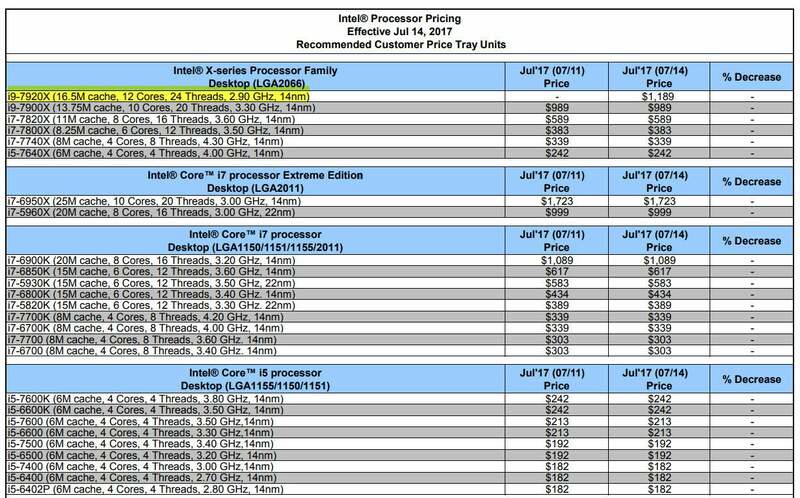 Intel’s price list typically lists the base clock or minimum clock speeds a CPU will run at under the heaviest workloads. In this case, the Core i9-7920X appears to guarantee an all-core clock speed that is 500MHz lower than AMD’s published specs. 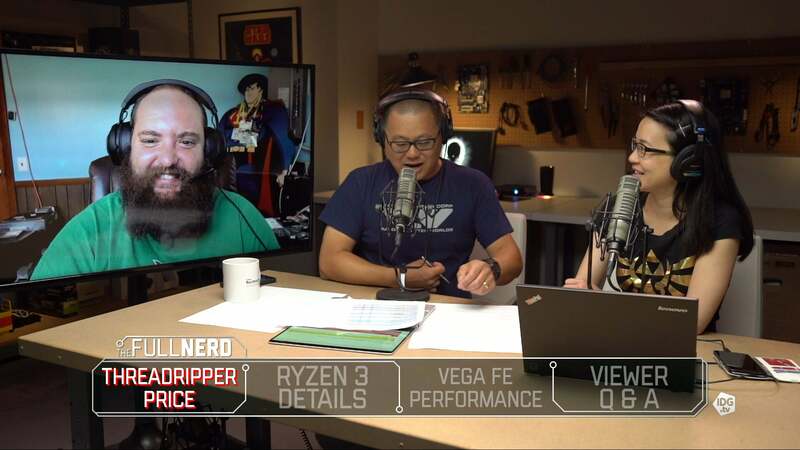 AMD recently said it will launch its $1,000 16-core Ryzen Threadripper 1950X at 3.4GHz, and its $800 12-core Ryzen Threadripper 1920X at 3.5GHz. On paper that doesn’t look promising for Intel. As of this week, Intel hasn’t disclosed anything about its upcoming 12-core chip except for its price and model number. In reality though, the battle may be far more nuanced. Neither Threadripper nor the higher core-count Core i9 chips have shipped, so outsiders don’t know how the chips will perform. The figure missing from Intel’s price list is the Turbo Boost clock speed, which the chip can reach under lighter workloads. The 10-core Core i9-7900X, for example, has a base clock of 3.3GHz with a max Turbo clock of 4.3GHz. In practice, even under heavy multithreaded loads, it will run very high clock speeds most of the time. Unfortunately, the same CPU is also developing a reputation for running at very high temperatures too. In the end, Intel’s modest 2.9GHz base clock might not be an indication of the chip’s full potential, but it certainly raises the possibility that Intel could have a problem in the megahertz department.